Rather than prettifying all plots in Illustrator, I prefer doing as much as possible already in Matlab. Chances that you’ll have to regenerate the figures at some point (because you decide to change one step somewhere in your analysis pipeline, say…), and by scripting the plots as much as possible you can replace your pdfs with an updated one with just one click. I highly recommend having some podcasts at hand for those moments when your life involves commuting, grocery shopping, cleaning, running or any other activity that doesn’t require much thinking. Campana F, Rebello I, Urai AE, Wyart V & Tallon-Baudry C. (2016) Visual consciousness proceeds from global to local content in goal-directed tasks and spontaneous vision. Journal of Neuroscience 36(19). At the Dutch Society for Psychonomics conference (NVP), which takes place every other year in beautiful beach-side Egmond aan Zee, I won the best poster prize for my work Pupil dilation signals decision uncertainty and predicts response alternation. Since I didn’t take any photos at NVP, here’s me presenting the study at the Society for Neuroscience meeting in Chicago earlier this year. 21 February 2018, update: the new JupyterLab was just released, and according to this tweet is really easy to integrate with Matlab. Probably worth checking out instead of the reasonably outdated instructions below! I really like Python’s philosophy, but over the last years I haven’t been able to switch the code for my research from Matlab. At this point, the transition costs are too high for me, but it’s a move I have planned for some point in the future. Now, Python has the awesome Jupyter (formerly IPyton notebook) feature, that allows for comments, code, and most importantly graphical output (i.e. figures you’ve just generated) to be shown in one document. This is a great way to share and explain the code you’re writing, since the reader immediately sees how output is generated without having to run all the analyses themselves. During the Montenegrin Open Science Days in 2014, I gave a short talk on models and neural bases of decision-making. A video of the talk is now online, so check it out if you’re interested in a crash course on how psychologists and neuroscientists think about the process of decision-making. If you’re interested in the slides, don’t hesitate to get in touch. And while you’re at it, check out the other talks by Nuno, Elena, Merina and Nikola! On the 22nd of September, I’ll be talking at the Metacognition workshop at the Interacting Minds Centre, Aarhus University. I’m very excited to be on the program together with Chris Frith, Dan Bang, Steve Fleming and Armin Lak. Update: video recordings of all the talks are available here. 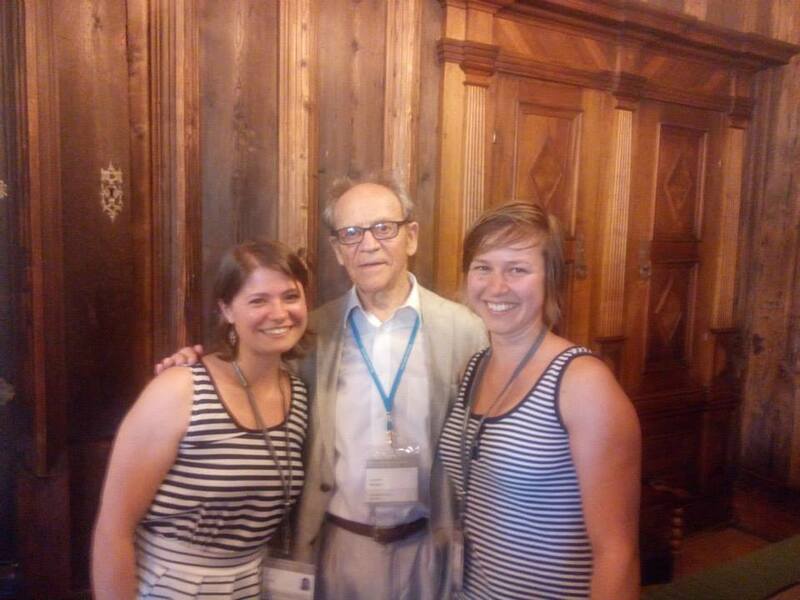 Perhaps the highlight of the Lindau Nobel Laureate meeting for me was meeting Torsten Wiesel who, together with David Hubel won the Nobel Prize in 1981 for their discoveries on the response properties of neurons in early visual cortex. Wiesel gave a talk in which he gave an overview of his work with Hubel. 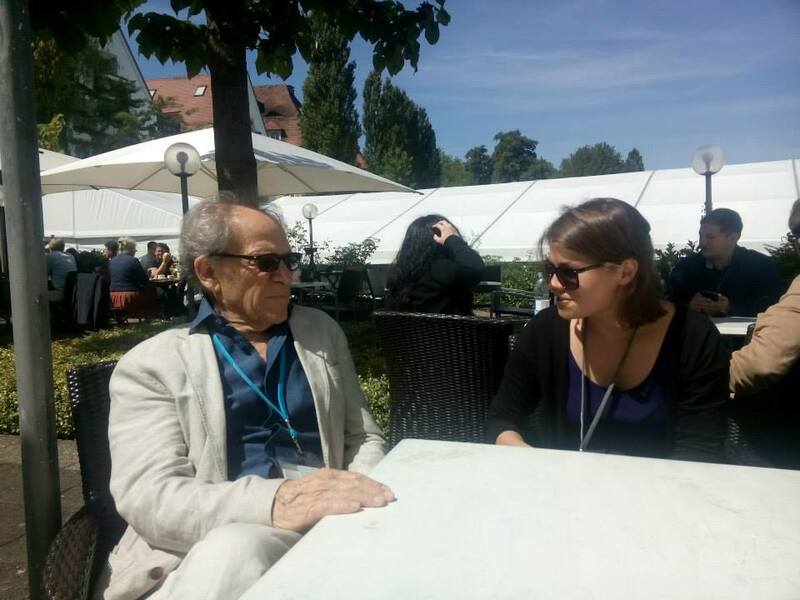 There wasn’t much time left for discussion that afternoon, but Jolien and I had the chance to talk to him in person the day after, on a very sunny terrace overlooking for Bodensee. Here’s some of the lessons I took from our conversation. Tip of the day: a short email requesting a meeting can really make your week. I spent last week in Lindau, at the beautiful Bodensee in the south of Germany. I had the honour to be one of 600 young scientists invited to the 64th Lindau Nobel Laureate meeting in Physiology or Medicine, a fantastic chance to meet 37 Nobel Laureates in the field and get a huge boost of inspiration and enthusiasm for doing science. The week was too full for a complete overview, so I’ll restrict this post to my personal highlights of the week. If you feel jealous that you didn’t know about this meeting or had to miss out, don’t panic; the Lindau Mediatheque collects video recordings of most talks.